Legumes are a special type of crops, which differs from other cereals with high protein content. 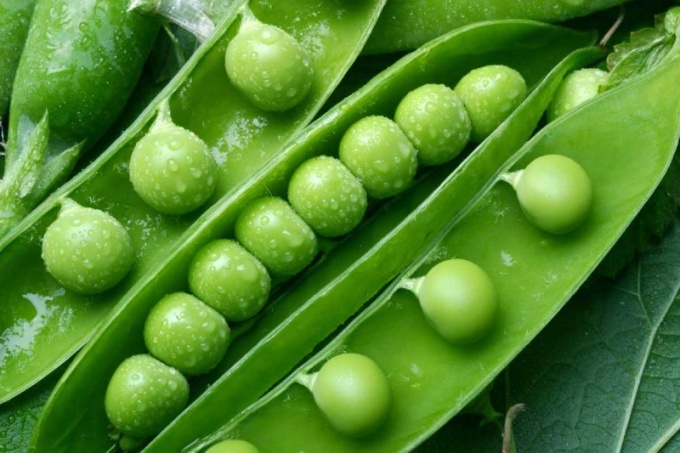 One of the most famous representatives of the legume is pea, however, this culture is characterized by a much greater variety. Legumes are a valuable source of vegetable protein, which is widely used in food, both by people and animals. They belong to the family of bipartite and distributed in various parts of the world, since the ability to grow in diverse climates, ranging from arid regions ending mountainous terrain. Legumes also referred to as bean due to the special shape of their fruits, which commonly have a rounded or oval shape resembling a grain. However, the fruit is a legume commonly larger than that of grain crops as a rule, they are at least 3 inches and can reach 1.5 meters. Most legume seeds are enclosed in a special membrane, called the pod. Nutritional value of legumes is that at a low enough cost they contain significant amount of protein: on average, 100 grams of legumes accounts for between 22 to 25 grams of protein. This figure is significantly higher than, for example, of grain, 100 grams of which contain 8-13 grams of protein. In addition, 60-70% of the weight of legumes you have on the contained starch, and 1-3% fat. Legumes represent one of the most diverse plant species: their population is about 18 thousand species, and a significant portion of them are edible. One of the most common plants belonging to this culture, is soy: it is used both independently and as a component in the manufacture of composite products in the dairy, meat and confectionary industry. Among the other members of their own species soybean is the product with the highest protein content: 100 grams of this culture contain about 35 grams of this valuable substance. In Russia the most well-known legumes are peas, beans and beans. They are usually harvested by drying and then use in the preparation of soups and main dishes. Also beans and legumes used for the production of canned vegetables. In addition, some types of these crops are also used as fodder plants, and in this case fed to livestock are not only fruits, but other green parts of plants, including the stem and leaves. However, the diversity of legumes is not confined to this list. So, in recent years, Russian stores began to appear the products in this group, previously little known in the market, for example, chickpeas, rank and lentils. In addition, this category includes the peanut which is considered a nut.